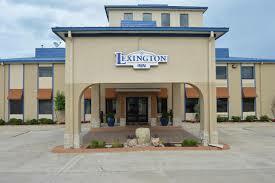 The newly renovated and affordable Lexington Inn is located on Interstate 35 at Exit 31A. Lexington Inn is conveniently located nearby to such local attractions such as Turner Falls, Lake Murray, Ardmore Convention Center, and a short drive away from the famed WinStar Casino. The Lexington offers ideal accommodations and location whether you are in town for business or pleasure or simply passing through on your way to Oklahoma City or Dallas. At Lexington Inn Ardmore strives provide guests with a great experience, not just a place to stay. Exceptional service, attention to detail, and a friendly and comfortable environment make Lexington Inn Ardmore an excellent choice when traveling to Ardmore.